We all know that in sales hard work, consistency and skill are the foundations of success right? It’s not really the thing to talk about luck as an element of sales success. After all, who would go to their boss and say the reason I hit my target was because of luck? 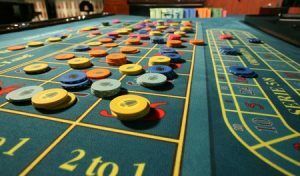 However, luck is now a hot topic in business research, so we have teamed up with Associate professor Chengwei Liu at Warwick Business School, an authority in this area, to investigate luck in the sales context. So, given that hard work and talent are vital, please would you help us explore luck in sales further by answering 7 easy questions? In return, we will send you the results of what we expect will be a very thought provoking investigation into the role of luck in sales! « New Year – New You!